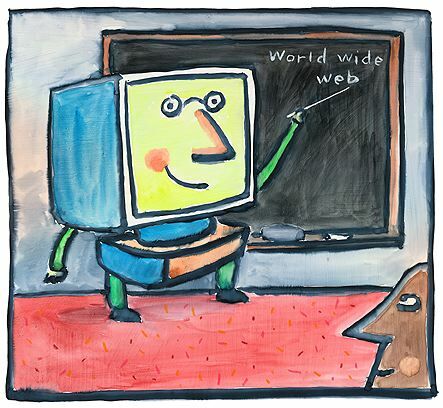 Oldspeak:’ Social networks are about connecting people with other people – if one person is the target of police monitoring, there will be a dragnet effect in which dozens, even hundreds, of innocent users also come under surveillance. It is not necessarily the case that the more information law enforcement officers have, the safer we will be.’ –Gus Hosein, Privacy International Following the lead of the U.S. Federal Reserve Bank, & The Pentagon, the FBI will be monitoring all social networks for ‘bad actors’ & ’emerging threats’, and locating them via Google and Yahoo Maps. The power of social networking to foment and facilitate protest and dissent has been demonstrated the world over. Tools are being created to dilute, counteract & co-opt that power. Left unanswered, who will be designated as a ‘bad actor’ or ‘threat’, in the minds of people who are trained to view protestors and dissenters as low-level terrorists. It will be interesting to see as more and more freedoms are eliminated, and more and more people are viewed as “domestic terrorists” for protesting unconstitutional laws, who will be labeled “terrorists” or “enemy combatants” in the future. Intellectutals? Journalists? Activists? Bloggers? You? The FBI’s Strategic Information and Operations Center (SOIC) posted a ‘Request for Information (RFI)’ online last week seeking companies to build a social network monitoring system for the FBI. The 12-page document (.pdf) spells out what the bureau wants from such a system and invites potential contractors to reply by February 10, 2012. It says the application should provide information about possible domestic and global threats superimposed onto maps “using mash-up technology”. Display different levels of threats as alerts on maps, possibly using color coding to distinguish priority. Google Maps 3D and Yahoo Maps are listed among the “preferred” mapping options. It notes that agents need to “locate bad actors…and analyze their movements, vulnerabilities, limitations, and possible adverse actions”. It also states that the bureau will use social media to create “pattern-of-life matrices” — presumably logs of targets’ daily routines — that will aid law enforcement in planning operations. “Social networks are about connecting people with other people – if one person is the target of police monitoring, there will be a dragnet effect in which dozens, even hundreds, of innocent users also come under surveillance” — Gus Hosein, Privacy InternationalThe FBI issued the request three weeks after the US Department of Homeland Security released a separate report into the privacy implications of monitoring social media websites. 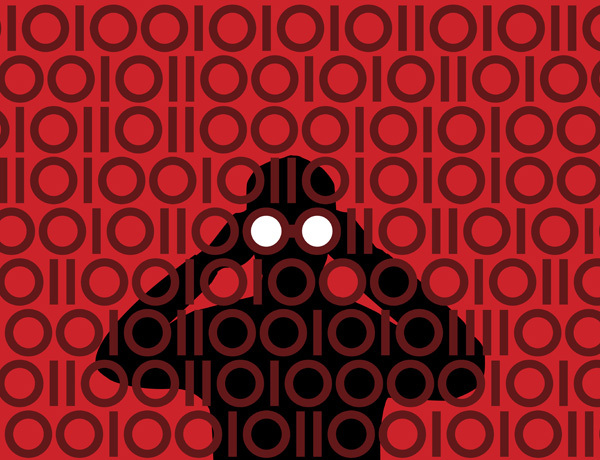 “Social networks are about connecting people with other people – if one person is the target of police monitoring, there will be a dragnet effect in which dozens, even hundreds, of innocent users also come under surveillance,” said Gus Hosein, the group’s executive director. “It is not necessarily the case that the more information law enforcement officers have, the safer we will be. Oldspeak:” In a police state, heavily armored & militarized storm troopers systematically and repeatedly violate their own crowd control guidelines & respond to dissent and protest with disproportionate, excessive and unauthorized levels of violence to ‘pacify’ largely peaceful and unarmed protestors. 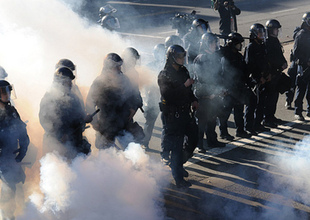 Downtown Oakland turned ugly once again on Saturday, as Occupy activists attempting to squat in a long-abandoned city building were met by lines of heavily armored riot police. Police officials said that 400 arrests followed – a number that may represent as much as 30 percent of everyone who participated in the day’s actions, according to police estimates of the crowd’s size. Occupy Oakland organizers said some protesters were hospitalized, but the exact number of injuries is unknown as if this writing. According to organizers, four journalists were swept up by police, including AlterNet contributor Susie Cagle and Mother Jones correspondent Gavin Aronsen. Cagle was reportedly cited and released; organizers say Aronsen was jailed overnight (update: Aronsen tells us that he was released last night). It was, once again, a tale of two protests. Accounts in the corporate media relied primarily on police statements to paint protesters as wild animals running amok in the city, while those following the day’s events via a small group of “citizen-journalists” broadcasting raw, unedited footage from their cell-phones and flip-cams got a wildly divergent view of exactly how things escalated. Police declared the protest an unlawful assembly, and soon afterward, a series of explosions could be heard on the livestream as police deployed either teargas canisters or “flash-bang” grenades to disperse the crowd. This appears to be a violation of the Oakland Police Department’s (OPD) own crowd-control guidelines, which were drawn up as part of a settlement of a 2003 suit filed by the National Lawyers Guild and the ACLU of Northern California after a case in which OPD used an abundance of violence against peaceful protesters demonstrating against the invasion of Iraq. Soon after this initial confrontation, the Occupiers retreated back to Frank Ogawa Plaza, which served as the location for their encampment – a tent city that Oakland officials cleared twice last fall. One organizer complimented the majority of activists for remaining peaceful throughout the clash. “Today was the most disciplined I’ve ever seen Occupy Oakland,” he said. The Occupiers, after regrouping, then set off for a second march. Their intended destination was unclear, as police immediately began “herding” protesters – in Mason’s words – towards a small plaza at the intersection of 19th and Rashida Muhammad Street, where they attempted to “kettle” several hundred protesters. It’s unclear why the attempt failed, but protesters evaded the trap and continued on until they reached Broadway and 23rd street, where OPD succeeded in boxing them in. Several protesters ran through the Downtown YMCA building seeking to escape arrest, according to live-streamer Spencer Mills. It was here that the majority of arrests took place. But Michael Davis, a visitor from Occupy Cincinnati, told the Associated Press that a day of action which began peacefully escalated when police began using “flash bangs, tear gas, smoke grenades and bean bags,” in apparent violation of OPD policy. The chronology is important to get right. By definition, protesters feel angry and aggrieved, and when force is applied indiscriminately on a crowd – and not directed at a handful of people seeking confrontation – it ratchets up the tension to a point where more confrontations become almost inevitable. The lawsuit filed by ACLU and the National Lawyers Guild is pending. In the meantime, relations between the community, police and city officials, and the Occupiers continue to be strained by the police violence and protester vandalism that have plagued so many actions over the past six months in Oakland. Oldspeak:” ‘I’ll admit it: Listening to Barack Obama, I am ready to enlist in his campaign against the feed-the-rich Republicans … until I recall that I once responded in the same way to Bill Clinton’s faux populism. And then I get angry because betrayal by the “good guys” for whom I have ended up voting has become the norm.’ A Corporatist Democrat recycling the same high-flown but ultimately hollow rhetoric of corporate democrat of the past. A brilliant deconstruction of Obama’s faux populist oratory. Obama has mastered the essential political skill of words not matching deeds to devastating effect for many of us. America’s decline began under a Republican, and is currently being shepherded along by a Democrat. Party ‘in power’ changes periodically but the status quo never does. When will people wake up to the reality that their political class has been co-opted via a financial coup d’etat engineered by agents of the transnational corporate network? How many well-paying jobs have to be replaced with poverty wage jobs? How many inalienable rights have to be abrogated? How many small businesses have to be driven out of business? How many people have to be rendered homeless? How much of our environment has to be destroyed before we see that our social and economic systems are unsustainable and on the brink of collapse? I’ll admit it: Listening to Barack Obama, I am ready to enlist in his campaign against the feed-the-rich Republicans … until I recall that I once responded in the same way to Bill Clinton’s faux populism. And then I get angry because betrayal by the “good guys” for whom I have ended up voting has become the norm. When Obama declared Tuesday evening “no American company should be able to avoid paying its fair share of taxes by moving jobs and profits overseas,” wasn’t he aware that Jeffrey Immelt, the man he appointed to head his jobs council, is the most egregious offender? Immelt, the CEO of GE, heads a company with most of its workers employed in foreign countries, a corporation that makes 82 percent of its profit abroad and has paid no U.S. taxes in the past three years. That is the real legacy of the Clinton years, and it is no surprise that GOP presidential contender Newt Gingrich has been campaigning on his rightful share of it. The international trade agreements that exported good U.S. jobs, the radical financial deregulation that unleashed Wall Street greed, and the free market zealotry of then-Fed Chairman Alan Greenspan, who was reappointed by Clinton, were all part of a deal Clinton made with Gingrich, House speaker at that time. As Gingrich put it in the first Republican debate in South Carolina: “As speaker … working with President Bill Clinton, we passed a very Reagan-like program, less regulation, lower taxes.” Even the 15 percent tax break that Mitt Romney exploited for his carryover private equity income was a result of the unholy Clinton-Gingrich alliance. Both principals of that alliance were pimps for the financial industry, and that includes Freddie Mac, the for-profit stock-traded housing agency that Clinton coddled while it stoked the Ponzi scheme in housing and that rewarded the former speaker with $1.6 million to $1.8 million in consulting fees. Oldspeak:”In totalitarian states, government sanctioned extrajudicial killing passes with barely a stir. “On Saturday in Somalia, the U.S. fired missiles from a drone and killed the 27-year-old Lebanon-born, ex-British citizen Bilal el-Berjawi. His wife had given birth 24 hours earlier and the speculation is that the U.S. located him when his wife called to give him the news.” This is how the U.S. does business now. Judge, jury and executioner, while refusing to reveal alleged evidence justifying ‘targeted assassination’ of ‘terrorists’. Charging people with terrorism and making it impossible for them to contest charges, because doing so could precipitate their deaths. This policy, this assassination program, perfectly illustrates the barbarically low value Americans place on the lives of “others”. This policy purports that a 27 year old man, who just had a baby, is incapable of change. Once labeled a terrorist, this man has can never be anything else, and he must be utterly destroyed, expeditiously. This policy allows to go unexamined, the conditions that exist in the globalized scarcity/austerity/cruelty dominated world that drive desperate and disenfranchised people to turn to terrorism to force their participation in the world community. Ten years ago, a neocon Bush Ambassador to Israel said “The United States government is very clearly on the record as against targeted assassinations. They are extrajudicial killings, and we do not support that.” 9/11 was the moment we went to the dark side, as illustrated in a scene out of the 1999 film the “The Siege” God help us if we don’t find our way back. Berjawi is understood to have sought to appeal against the order, but lawyers representing his family were unable to take instructions from him amid concerns that any telephone contact could precipitate a drone attack. Obviously, those concerns were valid. So first the U.S. tries to assassinate people, then it causes legal rulings against them to be issued because the individuals, fearing for their life, are unable to defend themselves. Meanwhile, no explanation or evidence is provided for either the adverse government act or the assassination: it is simply secretly decreed and thus shall it be. Exactly the same thing happened with U.S. citizen Anwar Awlaki. 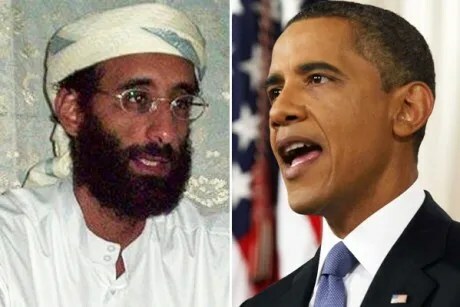 When the ACLU and CCR, representing Awlaki’s father, sued President Obama asking a federal court to enjoin the President from killing his American son without a trial, the Obama DOJ insisted (and the court ultimately accepted) that Awlaki himself must sue on his own behalf. Obviously, that was impossible given that the Obama administration was admittedly trying to kill him and surely would have done so the minute he stuck his head up to contact lawyers (indeed, the U.S. tried to kill him each time they thought they had located him, and then finally succeeded). So again in the Awlaki case: the U.S. targets someone for death, and then their inability to defend themselves is used as a weapon to deny their legal rights. In the coming weeks, according to four participants in the debate, Attorney General Eric Holder Jr. is planning to make a major address on the administration’s national-security record. Embedded in the speech will be a carefully worded but firm defense of its right to target U.S. citizens. . . . This is simply an asinine compromise. We all know the Administration killed Awlaki. We all know the Administration used a drone strike to do so. . . . The problem–the problem that strikes at the very heart of democratic accountability–is that the Administration plans to keep secret the details that would prove (or not) that Awlaki was what the Administration happily claims he is under the veil of anonymity, all while claiming that precisely that information is a state secret. The Administration seems to be planning on making a big speech on counterterrorism–hey! it’s another opportunity to brag again about offing Osama bin Laden!–without revealing precisely those details necessary to distinguish this killing, and this country, from that of an unaccountable dictator. The CIA seems to have dictated to our democratically elected President that he can’t provide the kind of transparency necessary to remain a democracy. We can kill you–they appear to be planning to say–and we’ll never have to prove that doing so was just. You’ll just have to trust us! The United States government is very clearly on the record as against targeted assassinations. They are extrajudicial killings, and we do not support that. What George Bush’s Ambassador condemned to the Israelis’ face just a decade ago as something the nation was steadfastly against has now become a staple of government policy: aimed even at its own citizens, and carried out with complete secrecy. And those who spent years mocking the notion that “9/11 Changed Everything” will have no choice but to invoke that propagandistic mantra in order to defend this: what else is there to say? Oldspeak: “The reason why these issues are so important for ordinary Americans and really go beyond just sort of a nerdy, geeky technical issue is that in today’s society, we, as citizens, increasingly depend on internet services and platforms, mobile services and platforms, not only for our personal lives and our businesses and our jobs, but also for our political discourse and political activism, getting involved with politics. And so, it’s very important that people who are exercising power, whether they’re corporate or whether they’re government, that are exercising power over what we can see, over what we can access, over what we can publish and transmit through these digital spaces, need to be held accountable, and we need to make sure that power is not being abused in these digital spaces and platforms that we depend on. 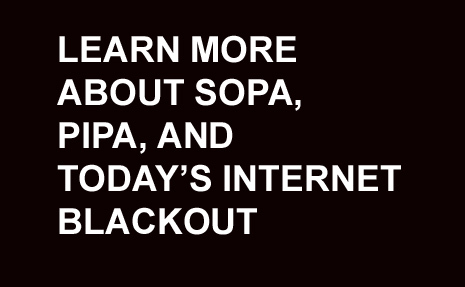 And so, that’s why this SOPA and PIPA legislation and the fight over it is so important, is who are you empowering to decide what people can and cannot see and do on the internet, and how do you make sure that that power is not going to be abused in ways that could have political consequences. 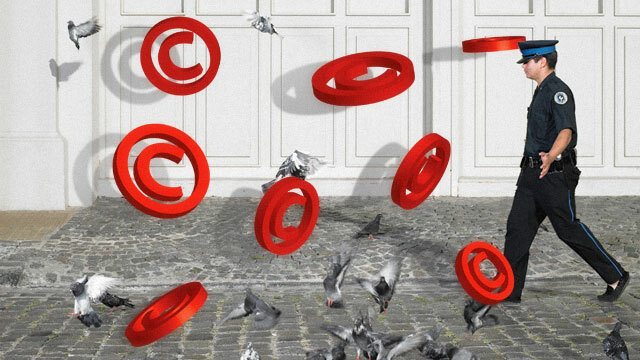 And we’ve actually seen how existing copyright law has sometimes been abused by different actors who want to prevent critics from speaking out.” –Rebecca MacKinnon Chinese style internet censorship is coming to America. It may not happen now, but you can bet this won’t be the last effort to do so. Facing a multimillion-dollar penalty in state funds, the governing board of Tucson’s largest school district officially ended the 13-year-old program on Tuesday in an attempt to come into compliance with the controversial state ban on the teaching of ethnic studies. 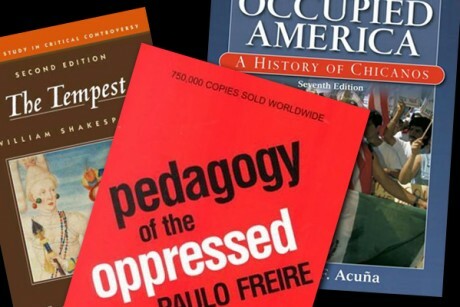 Freire’s work on pedagogy has been translated into numerous languages, and is taught at universities around the United States. In a school district founded by a Mexican-American in which more than 60 percent of the students come from Mexican-American backgrounds, the administration also removed every textbook dealing with Mexican-American history, including “Chicano! : The History of the Mexican Civil Rights Movement” by Arturo Rosales, which features a biography of longtime Tucson educator Salomon Baldenegro. Other books removed from the school include “500 Years of Chicano History in Pictures,” by Elizabeth Martinez and the textbook “Critical Race Theory” by scholars Richard Delgado and Jean Stefancic. Oldspeak:” ‘Poverty in America is remarkably widespread, the number of people living in poverty is increasing and is expected to increase further, despite the recovery. Millions of Americans will be forced into poverty in the coming years even as the US hauls itself out of the longest and deepest recession since the second world war’ Dr King would be appalled. A study from Indiana University, released on Wednesday, says the number of Americans living below the poverty line surged by 27% since the beginning of what it calls the “Great Recession” in 2006, driving 10 million more people into poverty. The report warns that the numbers will continue to rise, because although the recession is technically over, its continued impact on cuts to welfare budgets and the quality of new, often poorly paid, jobs can be expected to force many more people in to poverty. It is also difficult for those already under water to get back up again. The Indiana University study says that the numbers of people falling into poverty is also likely to grow because of severe cuts to state and federal welfare budgets. The report warns that the situation is likely to become even worse if the long-term unemployed lose their jobless benefits. Congress extended them for two months at the end of the year, but it is unlikely they will be continued indefinitely. Among the most severely affected states are Florida, Nevada and Arizona, which have been particularly badly hit by the housing foreclosure crisis, and Michigan and Ohio, which have seen the collapse of traditional manufacturing. Minorities are among the hardest hit. More than one in four African Americans and Hispanics is officially recorded as living in poverty. About one in 10 white Americans fall below the poverty line. The report says that the situation would have been much worse had it not been for the Obama administration’s 2009 federal stimulus package, which increased child health insurance for poorer families, and cut taxes for low income workers. Still, the study says that although unemployment is officially falling, that may not be the whole story. Some workers give up looking for jobs and are no longer counted in the unemployment rate. “Although the official rate of unemployment is declining, much of this apparent progress is attributable to the fact that many adults are giving up on the search for a job,” it said. The report argues that a better measure of how well an economy is creating employment is the “jobs-to-people ratio”. It says that in a healthy economy the range is between 0.60 and 0.70. The US fell within that range until it fell to 0.582 at the end of 2009. It had risen only to 0.585 in November 2011. “These data suggest that the reported progress in reducing the rate of unemployment may not be as encouraging as we think since increasing numbers of the unemployed may simply be giving up on the search for a job,” the report said.